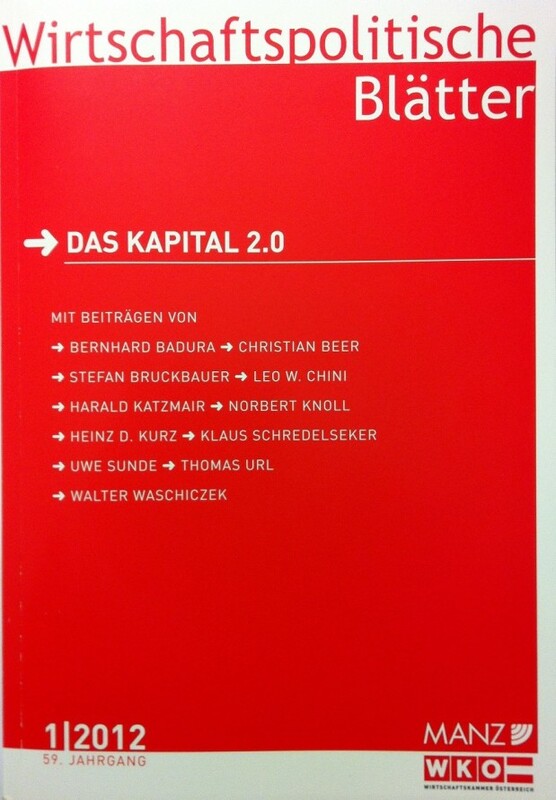 Social Capital and Resilience – Adaptive Networks within a World of “Creative Destruction” titles Harald Katzmair’s article, published in “Wirtschaftspolitische Blätter”. J. A. Schumpeter´s iconic metaphor of capitalism as continuous process of “creative destruction” perfectly synthetizes the two basic forces at work in the evolution of organizations and markets: at the one hand the creative forces of mutation and recombination which connect and synthesize elements in a formerly unknown manner and build up new types of organized complexity. On the other hand the analytic forces of dissolution, dissection and destructuralization which decompose existing formulas of resource allocation. The social capital (= the value of being connected) embedded within a relational process corresponds with the capability to activate and deactivate different structural forces to adapt morphologically to the different stages (pioneer stage, prime and maturity stage, release and reorganization stage) of the eco-cycle of innovation. Adaptability in this context is referring to the ability and capacity of a person, organization, city, region etc. to maintain integrity, to retain its complexity and capacity for self-organization and control over certain aspects of its environment within specific structures and goal functions through time. Social Capital Management in this regard is defined as ensemble of strategies and tactics for organizing and integrating network partners at different stages, scales and functional roles of the adaptive cycle with the goal to strengthen the capacity, capability and culture of an individual/organization/region etc. to explore opportunity and provide value within an existing or new threshold of a specific institution, market and/or community even under critical conditions (resilience management). The different roles of closure networks, structural holes networks and structural fold networks within the adaptive cycle are discussed; the new concepts of fast and slow social capital and adaptive cross-scale networks are proposed.